The moment I read Rurouni Kenshin in 8th grade, I became obsessed with samurai in fictional works. Whether it be Vagabond, Samurai Champloo, or Lone Wolf and Cub, I was drawn to these stories not only for their beautiful visuals and intense battles, but also for their engrossing narratives. Despite reading all these works, though, I feel I only know a portion of what truly makes up the soul of a traditional samurai. 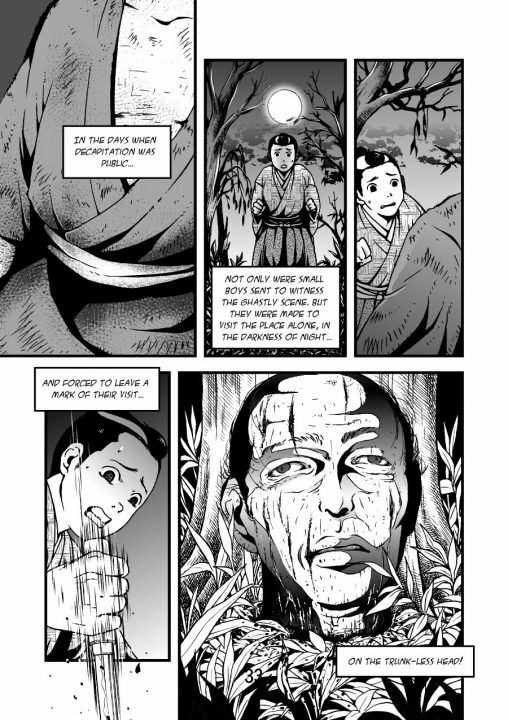 Sean Michael Wilson’s graphic novel adaptation of Inazo Nitobe’s 1905 novel, Bushido, became a perfect way to further my knowledge the values behind what makes the honorable samurai of Japan such an addictive subject for western readers to learn about. 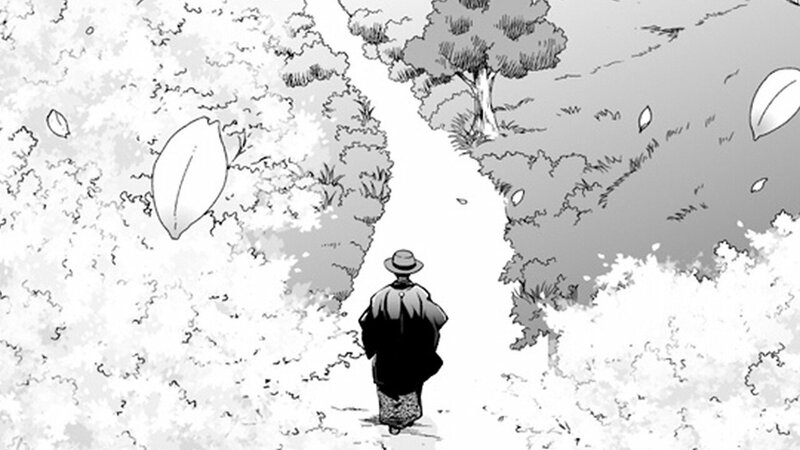 In the works I recommended above, all of the main protagonists are ronin or vagabonds, warriors who ditched the values and ethics of the bushido code. 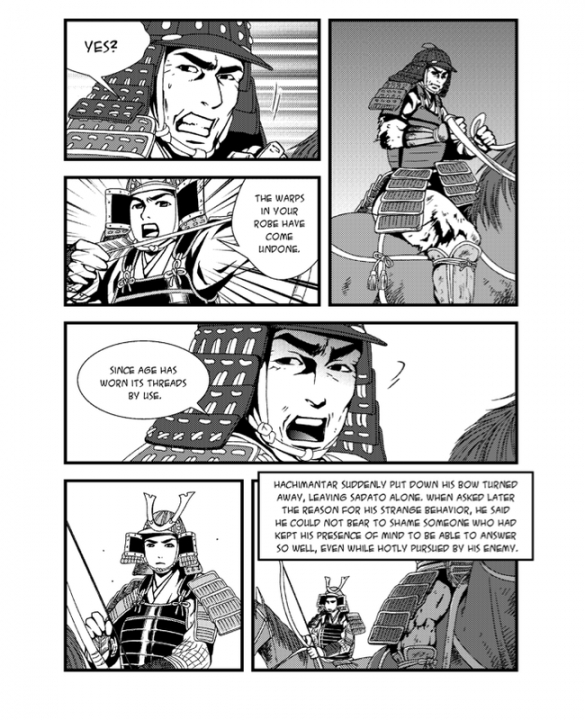 Samurai didn’t wander the country sides of Japan challenging dojos or working as mercenaries. It was a title given to the most talented knights of a political clan. You may know them better as the poorly trained grunts that we see cut down in anime. Wilson’s adaptation of Bushido first goes over the philosophy behind Bushido and explores its values further by explaining the characteristics of honor, justice, and loyalty. These characteristics didn’t just impact the samurai caste. It also affected the way Japan raised its people from childhood, becoming ingrained in their cultural identity. It’s great to read how they were applied in unique teaching methods. The most enjoyable chapters were the ones centered around seppuku and how swordsmiths forged katanas. Seppuku puzzled me because it’s considered an honourable death despite being a live viewing of a suicidal act. While the procedure of disemboweling yourself sounds like a very grotesque affair, in reality seppuku is actually a spiritual sacrifice to keep the soul pure from the evil acts the person committed. It’s still a live execution at the end of the day, but there’s something enthralling in reading about the precise details behind the act, showing that there’s no sloppiness in the way the person is treated upon or after death. There’s a lot of great content of this graphic novel adaptation as far as the writing goes, but I can’t help but feel sour towards Akiko Shimojima’s art. There’s no distinct tone or style throughout the read, creating a disjointed reading experience. It feels like she was going for a Scott McCloud approach in the vein of Understanding Comics, but it just doesn’t work to the same effect. At first, violent acts appear to be styled like seinen manga, more realistic in style with a lot of detail, but as the book progresses this changes. During the seppuku chapter, I expected a return of this artwork because of the nature of the ritual, but instead I looked at the generic shounen style that was incorporated in the everyday life sections. There’s just no consistency to be found, especially when historical figures appear multiple times in different art styles. Bushido is a great read if you’re interested in discovering more details surrounding the samurai ethics embedded in Japanese culture. It’s written with Western readers in mind, and introduces the material in an easily explained way. While the “graphic” portion of the graphic novel isn’t the most consistent, there are some genuine moments where the two work great together, with the fifth chapter being a particular highlight. No matter how you choose to consume the content, Inazo Nitobe’s Bushido is the first piece of educational literature that captivated me from the very first page until the end of the read. I believe it will have a similar effect on many readers who choose to pick up the title. While the art doesn’t enhance the read as much as I hoped, Bushido is a great novel to read if you’re interested in discovering more details about the samurai ethics and values embedded in Japanese culture.